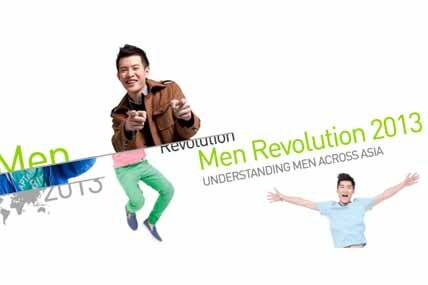 Men Revolution is the largest and deepest study about male grooming habits and purchase pattern in Asia. Few people would make the argument that men have been the most ignored gender. But when we look at FMCG marketing it’s clear that males have historically been of a lower priority. Women’s dominance of household affairs, control of weekly grocery purchasing, and cultural disposition towards beauty products have long meant that the majority of marketing spend has been geared towards targeting them. However the challenging of traditional gender norms has opened up large opportunities for manufacturers to communicate directly to men. It’s crucial that we understand where these opportunities lie and how best to realize them. Which better market to start than within China where 1 in 5 of the world’s males currently resides? Kantar Worldpanel (KWP) has conducted a pan-Asian study, speaking to 5300 men across 7 countries to understand the current status of male grooming trends. By combining impactful attitudinal data with robust purchase behavior, this report is able to look across Asia to see what lessons can be learnt from China’s regional cousins. Recent years has seen the rapid emergence of male grooming brands in China with both international and local manufacturers rushing to complete their portfolio. This has resulted in male brands consistently outperforming the rest of the market (7% growth vs. 5% in China). But is this driven by a genuine consumer need or is it just manufacturers’ push that lies behind the growth? With four in five of Chinese males (In Tier1/2 cities) recognizing themselves as being very conscious about their appearance it suggests that there is a genuine need for these products. The traditional concept of men needing to be pushed into giving consideration to their appearance is clearly outdated. For men across Asia the primary motivation for this consideration is for their own benefit, to ‘simply feel better and more comfortable’ (85% agree with statement). Recognizing appearances role in success with women (73%) and the workplace (73%) are further emotional drivers. These emotional drivers should be a key feature of communication with men, and may be even more important than addressing any male specific functional needs. GET MEN USING MORE PRODUCTS OR TRADE UP TO MALE PRODUCTS? A key question for male brand managers is; whether to focus on category development, getting men to use new categories, or focus on trading men up from cheaper unisex products into more premium male specific brands. To answer this we can first look at how Chinese males’ beauty regime compares to other Asian markets. Chinese men already have a relatively developed regime using on average 7.4 different categories every couple of months. This is similar to Korean males (7.6), traditionally held as the most developed male market. Thai (8.4) and Malaysian (8.1) males have the most comprehensive regimes. Looking within categories it is clear where the opportunities lie for Chinese men. Whereas only 13% use a deodorant product, 66% of Thai men do. Similar stories are seen in fragrances and talcum powder categories. However overcoming cultural barriers to product usage can be a challenging job for manufacturers so these opportunities may be difficult to realize. Easier opportunities lie in the face care category where Chinese men already have the widest regime of products in Asia (2.5 products). One notable gap in males’ regime is in facial toner where Korean men lead the way with 63% using vs. only 29% in China. Facial care brands need to ensure they have a complete product line, in many cases mirroring the female brands, to encourage men to expand their regime. The use of gift or promotional sets can also be a helpful tool to trade men up into a three step facial care regime. So if opportunities to expand category user bases are challenging, what potential is there in trading up men from unisex brands? Chinese males’ adoption of male brands is generally more advanced than other Asian markets. Two thirds of Chinese facial cleanser users already choose a male specific brand (vs. a quarter of Korean males) and the average annual man’s face care spend is 16 USD (vs. 11 USD in Taiwan). But with even the biggest male brand in China, L’Oreal Men Expert, only achieving a penetration of 5% - there remains plenty of room for brand growth. Given increasing saturation of male brands, this growth will increasingly come from competing with, and stealing share from other male brands. Looking outside of face there are still sizeable opportunities from developing male only brands. Shampoo and Shower Gel are two good examples. The most developed market is Vietnam where more than half of men choose a male shampoo brand and over a third uses a male shower gel brand (compared with 35% and 22% in China). Vietnam’s market has seen rapid development through the long-term investment and focus of X-Men (a local brand) and Unilever’s Clear Men. For brand managers of male grooming brands this demonstrates the opportunities that arise from competition. The noise generated in the market can help convert men into buying a product just for them, educating them about their unique needs and growing the pie. We’ve already seen how men care about their looks, are prepared to use more products to deal with their concerns and, when supported by manufacturers, will pay a premium for a ‘just for me’ brand. But, how can manufacturers reach and speak to these modern men? The key channel for communication is digital. Chinese men are half as likely as Korean men to watch 3+ hours of TV (13% vs 26%) but are more than twice as likely to surf the internet for 3+ hours (54% vs 22%). Brand managers can use this heavy online exposure to build awareness through targeted digital campaigns. Online also has an important role in the education of men about beauty products. In the last year, half of Chinese men have used online stores to gather information about fashion and beauty trends. Brands need to ensure that their online portals cater for this behavior, informing consumers about the correct role of each product as well as facilitating any possible purchase. Digital word of mouth (WOM) is another crucial channel for brands to actively manage with 55% of Chinese men seeking information about beauty trends from social media. Through the creation of engaging viral material such as the famous Old Spice campaign by Wieden + Kennedy, brands can achieve cost effective reach from their communication budget. Innisfree’s recent digital activity featuring Korean star Lee Min-ho is a good example of how innovative technology can be used to achieve this in the China market. MEN DO CARE - Historical assumptions about men’s’ apathy about their appearance are no longer relevant. Most Chinese men care deeply about how they look and recognize the importance of their looks in achieving success in love and the workplace. Brands can exploit this through creative content addressing these underlying motivations. FACE MARKET MATURES – In China’s more developed city tiers males face regime is already the most advanced in Asia. Manufacturers of male brands strategic focus should now be shifting to converting those remaining users of cheap unisex brands like Dabao while preparing for a more competitive share exchange market. HAIR AND SHOWER NEXT KEY BATTLEGROUNDS – The example of Vietnam demonstrates the future potential for growth of male grooming brands in these categories. We can expect a 50% increase in male brands penetration within these categories over the coming years so now is the time to invest while these categories are still maturing. THE DIGITAL MAN – Chinese men are highly digitally savvy, with the majority spending at least 3 hours a day surfing the internet. Male beauty brand managers need to ensure they have the correct digital strategy in place, using social media to create a strong WOM for their brand. Brands like Old Spice and Innisfree provide good examples of how viral marketing can be used effectively within these channels.